Played in Britain reverses theatre’s technical laggard stereotype to adapt theatre anthology for the tablet age, digitally curating from the Victoria & Albert (V&A) Museum’s rich audio-visual Theatre & Performance Collection. In 1956, American playwright Arthur Miller declared that British theatre was “hermetically sealed against the way the society moves”. Six decades on, Played in Britain reverses theatre’s technical laggard stereotype to adapt theatre anthology for the tablet age, digitally curating from the Victoria & Albert (V&A) Museum’s rich audio-visual Theatre & Performance Collection. The project, conceived by its Director, Geoffrey Marsh, and developed and published in-house, explores how ground-breaking plays were originally performed and received. The V&A partnered with The Guardian and The Telegraph to access historic reviews, with play extracts from Bloomsbury Publishing. 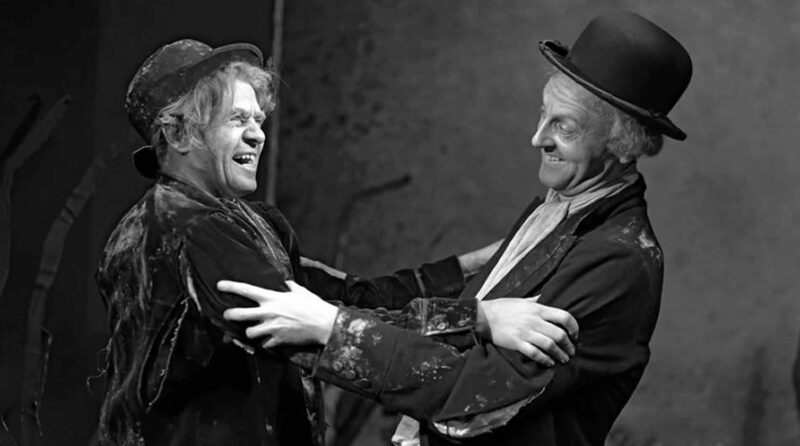 Played in Britain celebrates 65 years (1945-2010) and 100 plays from post-war British theatre – from Samuel Beckett’s Waiting for Godot (1953) to noughties classics like War Horse (2007). With narration by actor and director Simon Callow, who in his video introduction explains that “we will together explore plays that created a stir”, the app was born from the acquisition of photographer Douglas H Jeffrey’s archive, whose striking photography takes centre stage. Each play is accompanied by an original essay summarising its plot, impact and legacy. Additional video commentary from critic Michael Billington sets the historic and social context – augmented with audio interviews of cast members and producers of original and revival performances, cast lists and play extracts – to create a high-quality resource for theatre lovers, academic researchers and practitioners. I studied theatre (at Birmingham University) in the pre-internet era – circumnavigating drafty libraries and stepladders to uncover dusty academic tomes. This app would have helped bring to life my studies, using the tablet’s ‘anytime, anywhere’ media experience (conjuring up images of a dry martini with Noël Coward). The attention to detail and the extent of the collection (100 articles, 200 reviews, 600 photographs and 35 minutes of video) is impressive, with a group production involving more than ten experts to create each play’s assets and over 50 people credited. Sutherland placed a premium on user experience; six time periods are curated using a simple colour scheme and homepage navigation, plus A-Z listings by play and writer. Started in 2010 and released in November 2012, the design and technology now look somewhat dated. Like John Osborne’s “muddle first drama” (The Guardian, 1956) Look Back in Anger, some technical aspects of the first release’s interface irk: some texts over images have poor legibility, icon design for links to pop-up and external web pages (with reviews sitting, perplexingly, on standalone web pages) are unhelpfully identical. A major bug is the inability to purchase an upgrade from the free sampler, and a timeline overlay graphic that is messy and not interactive. The A to Z index frustrates by not linking to play pages, and the bookmark function lacks explanation. Dealing with a large volume of materials creates additional navigation challenges; for example, from a play page, it’s not possible to explore other plays by the same writer. The app feels like a poor user experience compared to a project microsite. At just shy of 750Mb, and priced at £7.99, it’s closer to a book or DVD price-point and experience than a casual read, and keeping audio-visual files in-app adds bulk. Technical issues withstanding, the scale of ambition and the quality of content is outstanding. The V&A have made a significant commitment to digitising their assets, and have produced 13 apps, including Hollywood Camera dress up, gallery audio guide tours, and an exploration of three centuries of quilt making. The intention is to expand Played in Britain with future editions. All V&A apps are built only for iOS devices; it will be interesting to see if they decide to expand reach and access with multi-platform editions. The V&A, like all Arts Council England funded organisations, are committed to using digital for audience development and increased access to archives. Major institutes like V&A and the British Film Institute should pave the way to advance digital archiving through the significant access they have to both content and public funding, which allows them to experiment and take risks where commercial publishers cannot. As curatorial apps such as The Museum of Design and The Louvre show, the cultural sector are becoming digital content curators and publishers, with tablet technology as the perfect medium for immersive, artistic visual exploration. Played in Britain: Modern Theatre in 100 Plays, 1945-2010 can be downloaded from the App Store. 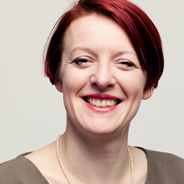 Susi has previously run her own digital strategy consultancy business and is one of Europe's top players of the theremin, the world's first electronic musical instrument.